Naturisimo, the UK’s leading natural and organic beauty online retailer, has just released their first box of 2016, the limited edition Skin Radiance Discovery Box (worth £60). The box contains eight luxury, high-end skincare items that infuse advanced cosmetic science with natural ingredients to deliver everything you need to achieve beautifully radiant skin, all for just £12.95 with free worldwide delivery. Naturismo’s signature sleek black box contains: Argentum La Lotion Infinie (5ml), Aurelia Probiotic Skincare Miracle Cleanser (30ml) and Mini Muslin, Caudalie Resveratrol Firming Serum (10ml), Elemental Herbology Vital Glow Overnight Resurfacing Moisturiser (15ml), Kae Argaroyal Day Cream (2ml), Tata Harper Moisturising Mask (7.5ml) and The Organic Pharmacy Gene Express Serum (2ml). 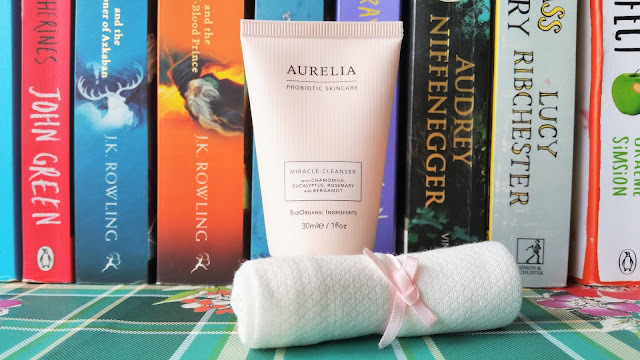 To my delight I also received a sample of the indulgent Aurelia Probiotic Skincare Miracle Cleanser (30ml) and mini bamboo muslin cloth in this month’s You Beauty Box. The creamy cleanser’s blend of eucalyptus, chamomile, rosemary and bergamot essential oils glides onto the skin lifting off all impurities and makeup. The formula feels luxurious, rich and is infused with probiotic and peptide technologies to prevent skin from aging and stimulate the skin’s natural renewal process. 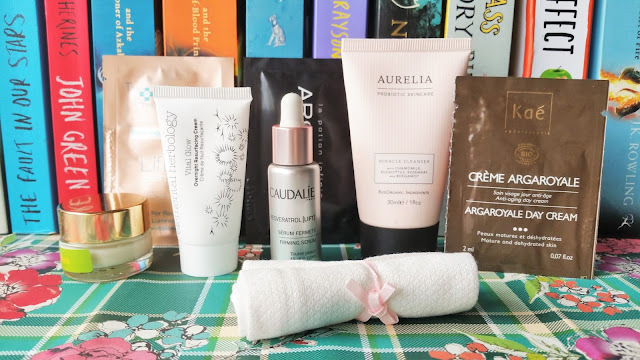 Caudalie is a skincare brand I’m always happy to see included in a beauty box. Every sample of their’s that I’ve tried, I’ve been delighted by the results; although slightly overwhelmed with it’s price tag. 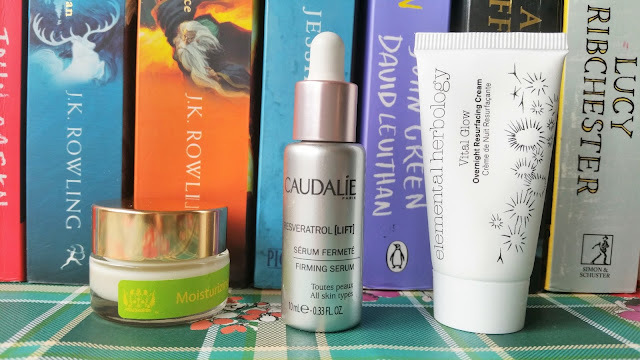 The Caudalie Resveratrol Firming Serum (10ml) boldly claims that it helps to redefine facial contours, re-create the structure of a young face, plump cheekbones and re-sculpt the face into a V-shape. This sample of oil-free, lightweight natural serum is suitable for all skin types, dissolves easily and helps the skin look and feel fresher. The Tata Harper Moisturising Mask (7.5ml) contains a 100% natural formula which provides maximum hydration and long lasting moisture to even the most dehydrated or stressed out skin. The key ingredient is a proprietary Moisture Molecule Complex that infuses the skin with bio-compatible Hyaluronic Acid to promote deep hydration. The formula also contains Milk Thistle, Calendula, Borage, Comfrey, Arnica and Alfalfa Seed to calm the skin. I used this product as an overnight mask and was completely astounded by how soft and smooth my skin felt in the morning. This indulgent treat unfortunately comes with an indulgent price tag to match, retailing for £92/50ml. The Elemental Herbology Vital Glow Overnight Resurfacing Moisturiser (15ml) is an intensive night treatment that resurfaces the skin whilst stimulating cell turnover, to deliver a beautiful radiant glow. The anti-aging moisturiser is fast-absorbing, lightweight and works to gently resurface the skin as you sleep. It claims to reduces dullness, improves brightness, boosts elasticity and also plumps fine lines and wrinkles. 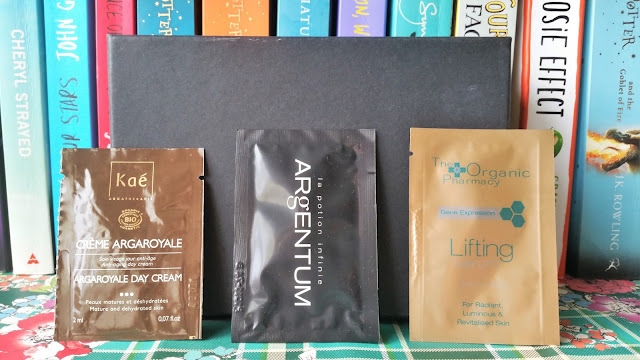 Also included are sachets of the Kae Argaroyal Day Cream (an anti-aging day cream with royal jelly and highly concentrated organic ingredients to help fight the signs of ageing), Argentum La Lotion Infinie (a super hydrating, universal anti-ageing face cream and all-encompassing treatment for wrinkles, facial blemishes and oxidative stress) and The Organic Pharmacy Gene Express Serum (an innovative serum using gene mapping science to restore skin cells and dramatically improve the appearance of skin). 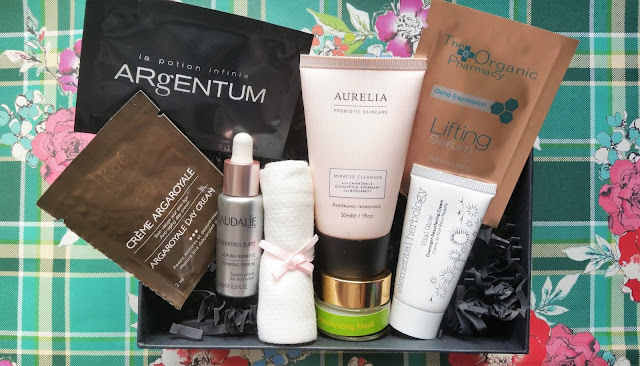 The limited edition Skin Radiance Discovery Box (worth £60) is available here for just £12.95 with free worldwide delivery. It’s a great way to pamper your skin, try out some high-end products and discover new natural skincare brands. "Getting Nakd with Natural Balance Foods"